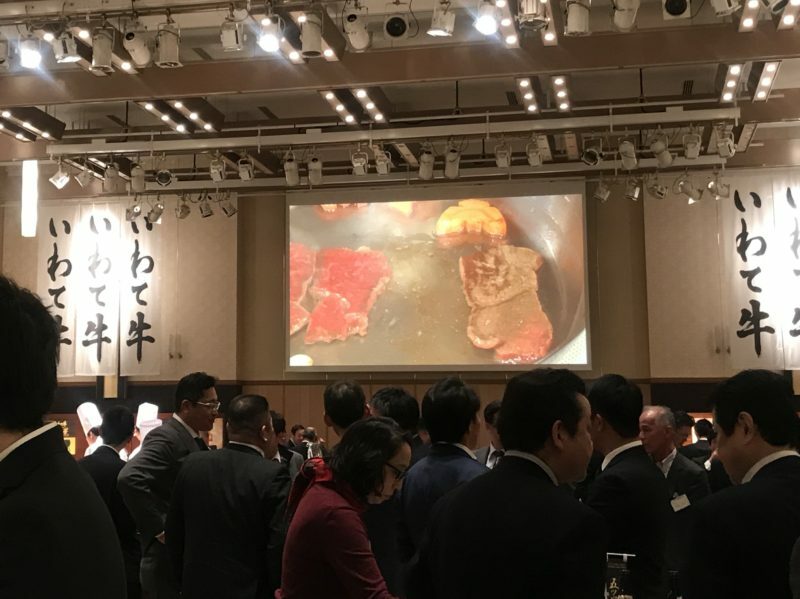 On January 21, I participated in the Evening Party for Iwate Beef at Grand Prince Hotel Takanawa. 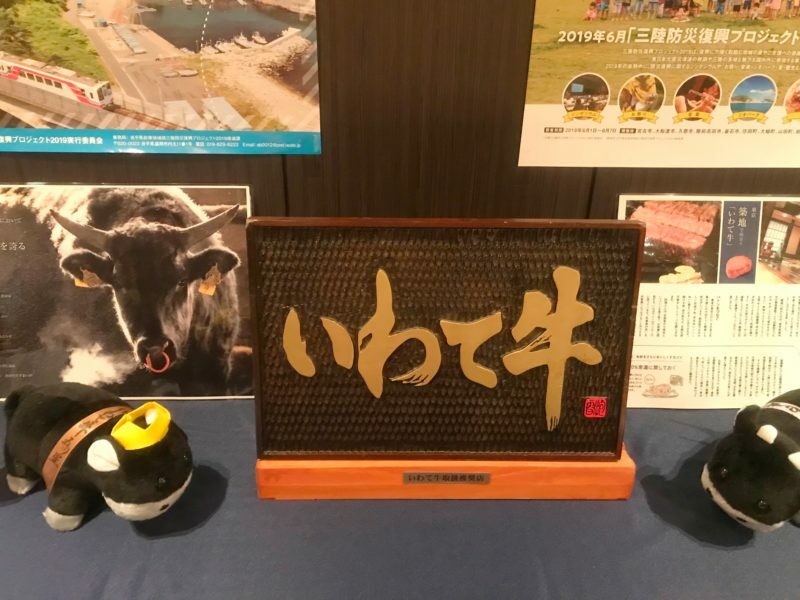 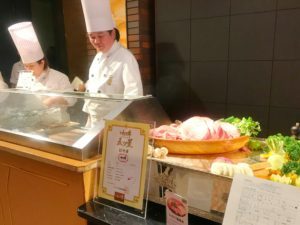 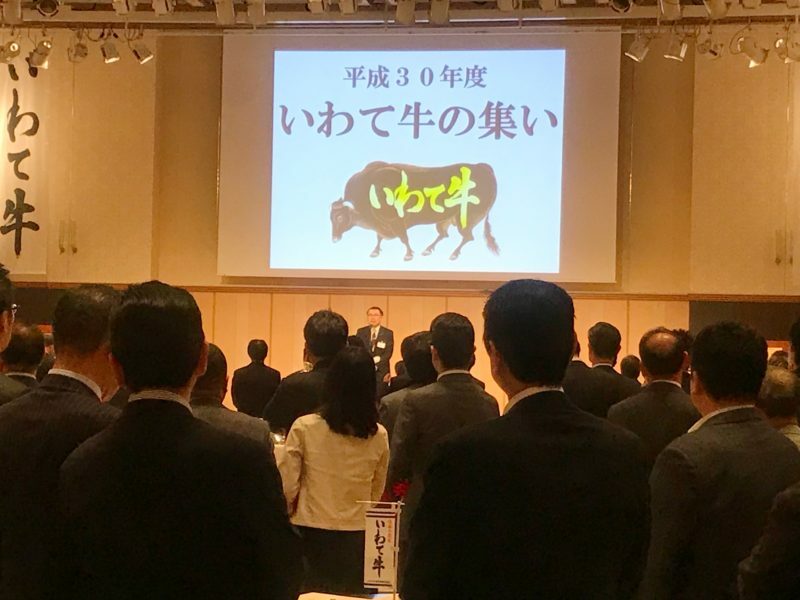 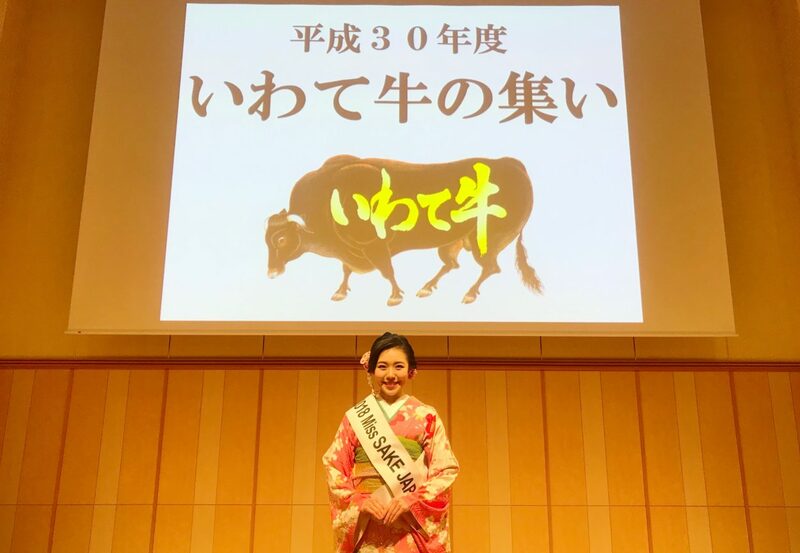 The Evening Party for Iwate Beef is an annual gathering where wholesalers and retailers of Iwate beef and producers of beef cattle can exchange information with each other. At the party, the guests enjoyed great dishes made out of ingredients from Iwate Prefecture including Iwate beef. 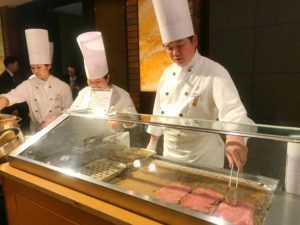 Also, we had live performances of the restaurant chefs to cook Iwate beef just in front of the guests. 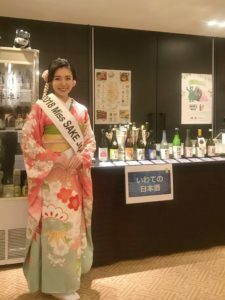 At the venue, we had a drink corner, too, where, as Miss SAKE, I served SAKE of Iwate Prefecture, next to the booths of Iwate craft beer and Iwate wine. 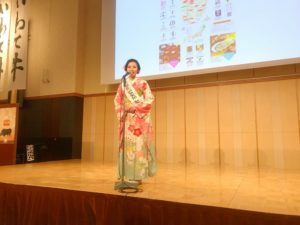 Also, I had a chance to introduce SAKE of Iwate on the stage. 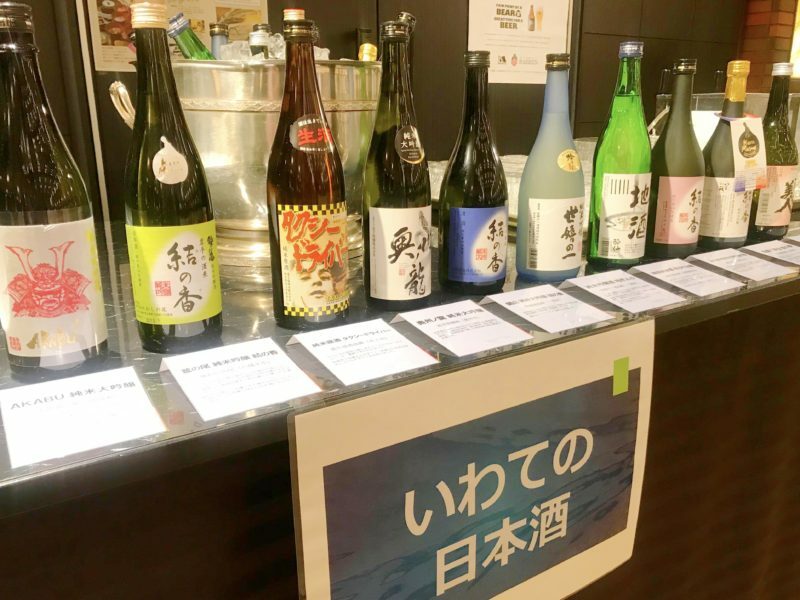 Iwate Prefecture is the birthplace of “Nambu toji,” the biggest toji group in Japan, who have developed and passed down the sophisticated sake brewing technology. 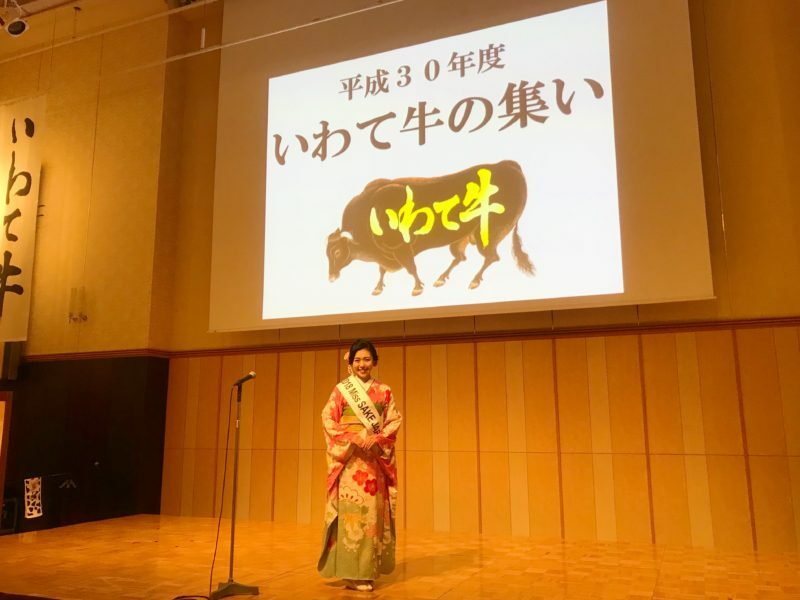 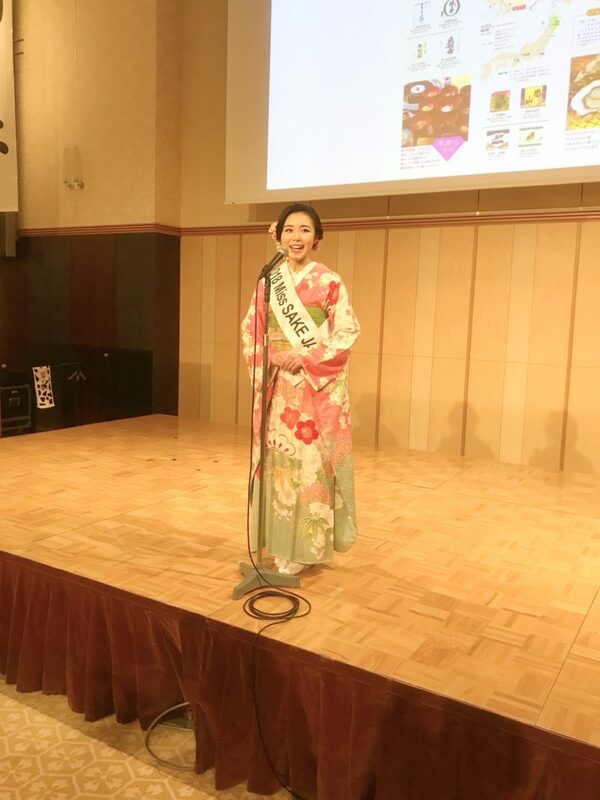 On the stage, I introduced the history of “Nambu toji,” as well as the beautiful water of Iwate and the special sake rice developed in Iwate. 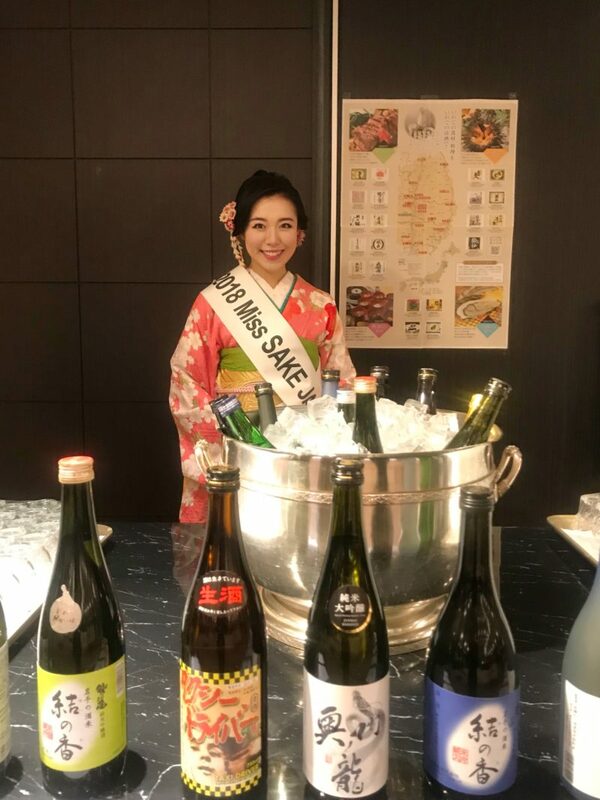 I was glad that many people at the venue enjoyed the SAKE with delicious dishes of Iwate Prefecture. As Miss SAKE, I’d like to continue to deepen my understanding of local culture, and convey the greatness of each region through the local SAKE. 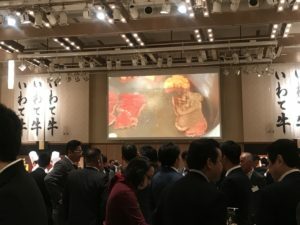 I extend my appreciation to all the people involved in the party.